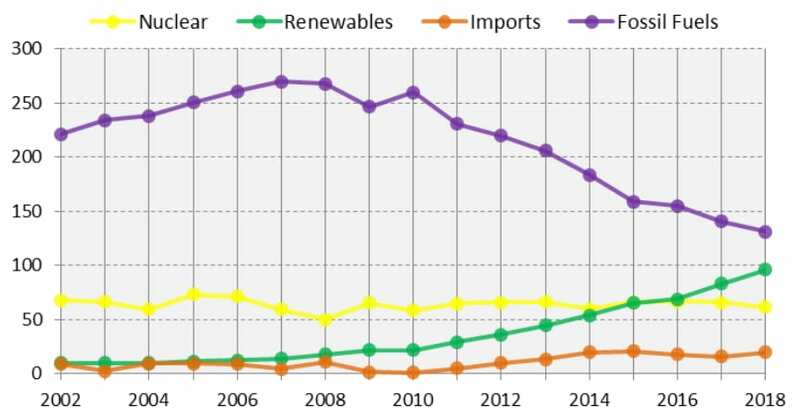 Renewables will overtake fossil fuels in 2020 to become the “dominant” source of power in Great Britain, EnAppsSys has predicted in a new report. EnAppSys made the forecast in its latest annual energy market review. According to the report, renewables generated around 96TWh in 2018 – a more than 15 per cent increase over the previous year. Meanwhile, fossil fuel output fell almost 7 per cent to 131TWh. Gas remained largest single source of electricity, accounting for nearly 38 per cent of generation during the year. Renewables accounted for more than 31 per cent, nuclear for almost 20 per cent and coal just 5 per cent. Annual coal output has now fallen nearly 90 per cent since 2012.